Funtopia announces its partnership with GICSA, the leading developer and operator of shopping centers and commercial real estate in Mexico. 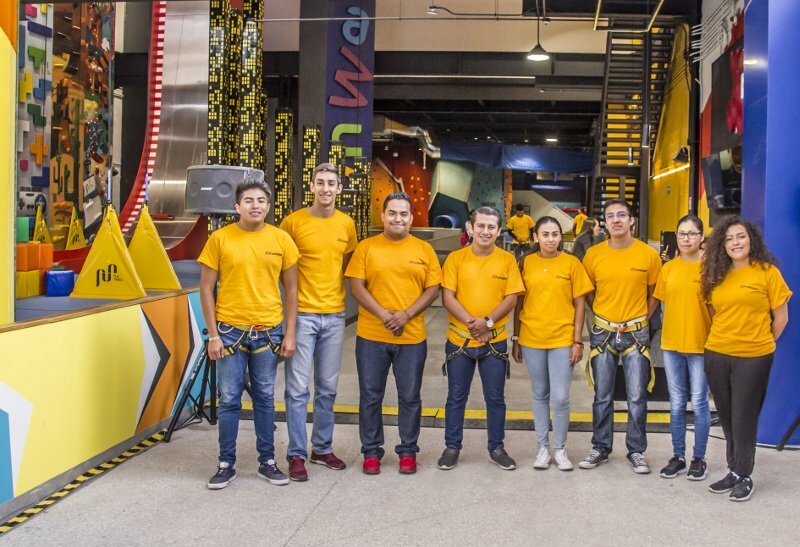 This step solidifies further the company’s strategy of expanding and strengthening its franchise concept, and places Funtopia firmly on Mexican territory. Funtopia concept is based on the idea of providing children and families activities and healthy entertainment. It combines sports and fun all under one roof in indoor adventure parks, which offer a wide array of physically and mentally challenging attractions. Funtopia facilities also include private spaces for groups, customized rooms for birthday parties, and are adapted for a variety of programs such as team buildings, fundraisings and community events. Funtopia is already present in Europe, USA, Australia, Israel and Malaysia with an increasing number of facilities opening every year since its creation in 2012. The opening of the first location in Mexico, jointly orchestrated by GICSA and AFF is scheduled for Fall 2018. It will be located in the brand-new shopping center in Cholula, Puebla. The conveniently situated facility will offer Funtopia signature attractions such as Fun Walls, Ninja Course, Ropes Course, Realistic Caving Systems and the first electrical Roll Glider in North America. “I believe that the first Funtopia in Puebla will rapidly become a massively popular family destination, because of the amazing infrastructure and fantastic attractions that we managed to put in place” says Alan Jaime – Business Development Manager at GICSA. “The opening of the Puebla location has become the first step towards the new era of shopping malls where experiences are the key attraction.” The next Funtopia will open in Queretaro in spring 2019, but GICSA and Funtopia are planning to open many more locations all across Mexico, including Mexico City, as well as Monterrey, Guadalajara, Riviera Maya and others. GICSA, the leading company in development, investment and commercialization of large-scale real estate projects in Mexico. In almost 30 years, it has developed more than 22 shopping centers and various projects such as office buildings, industrial buildings, residential condominiums and hotels. Likewise, in June 2015 the company ventured into the stock market, now being a public company with investors in Mexico and foreign markets.